In the early 1990s, Gordon Logan, Founder and CEO, recognized the huge potential, and relative lack of competition, in the men and boys’ haircut market. He wanted to create a place where guys could take care of one of life’s necessities—a haircut—and say, “This is my kind of place, I feel comfortable here,” when they walked in the door. Sport Clips was the first truly national brand to exclusively target the 150 million men and boys who need a haircut place to call their own. As a Sport Clips franchisee, you will have the ability to own a business that capitalizes on the men’s and boys’ haircut segment of a $60 billion hair and beauty market. We’ve been franchising since 1995 and our mission remains the same… to provide a “championship haircut experience for men and boys in an exciting sports environment”. Sport Clips offers men and boys more than just a haircut – we offer them a unique, sports-themed experience they can’t get anywhere else. 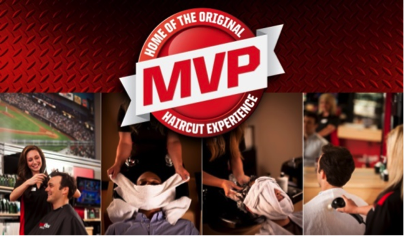 The “MVP Haircut Experience” includes a precision haircut, massaging shampoo, hot steamed towel treatment, and neck and shoulder message while enjoying sports on TV. 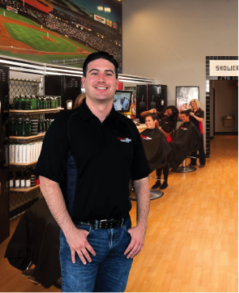 Sport Clips allows you the opportunity to keep day job, invest for the future! Sport Clips is a strong national franchise with a turnkey, proven business model, low startup costs, and no perishables. We have a semi-absentee / manager-run business model that allows you to work ON your business, not IN your business. Wouldn’t you like the freedom of being your own boss, with the security of an industry leader supporting you every step of the way? You can even keep your current job while building your future. And no hair care experience is needed. Sport Clips is the dominant men’s and boy’s haircut franchise in North America. The men’s segment of the haircutting industry is the most efficient; with no chemicals, easier-to-execute haircuts, and lower inventories. When you invest in a franchise concept, the number of stores opened each year is important, but store closures are even more important! Sport Clips is an industry leader with over 1,450 stores open and a 98% continuity rate, an honor based on five years of real data, during which time only five Sport Clips stores have closed in the entire country. A truly impressive figure in the industry. What does this mean to you? Stability. Confidence. Freedom. 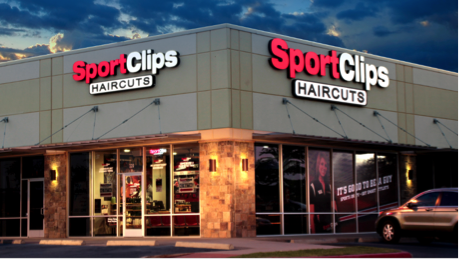 In the past five years, Sport Clips has experienced an annual same store sales growth of 7-10%. We have a responsible growth plan, adding 150-170 locations each year while maintaining high standards for sites and franchisees. 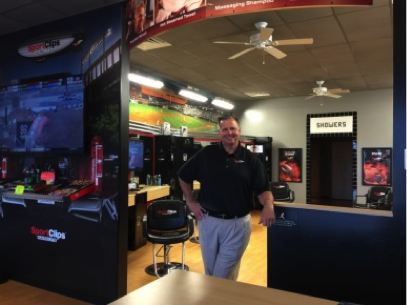 At Sport Clips, we provide support for our franchise owners. We have a tried-and-true model and we use proven training programs and advanced support tools to ensure that our franchisees have every chance of success. To qualify, you will need $400,000 net worth, $200,000 liquidity, good credit and willing to develop in available territories. Qualified veter­ans receive a 20% discount on the initial franchise fee. Ideal candidates have man­agerial and communication skills and enjoy working with and developing people and marketing a store. Franchisees will work with the manager and over­see multiple units. Primary responsibility is to market the business and drive sales. Our Franchisees say it Best!